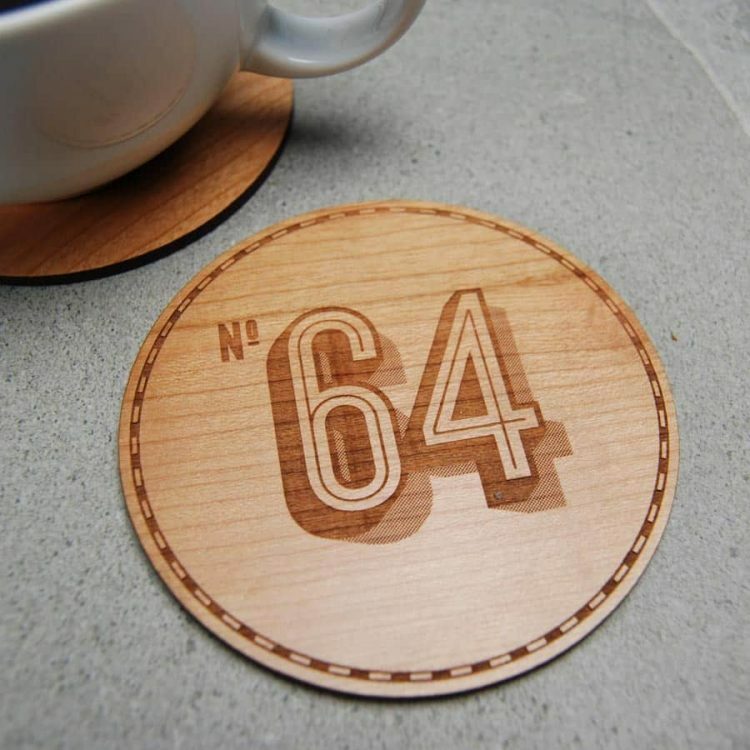 Bring some fun to your table or counter top with these dynamic personalised wooden coasters engraved with your house/apartment number in our 1920s French retro style font. The perfect gift for Christmas, Birthday, New home, wedding or just because. Custom made in our Dublin workshop from sustainably sourced Cherry wood. The coasters measure 95mm x 95mm (3.75 inches x 3.75 inches) and this is a set of four. Additional coasters can be ordered to create a larger set and are €5 each when ordered at the same time. 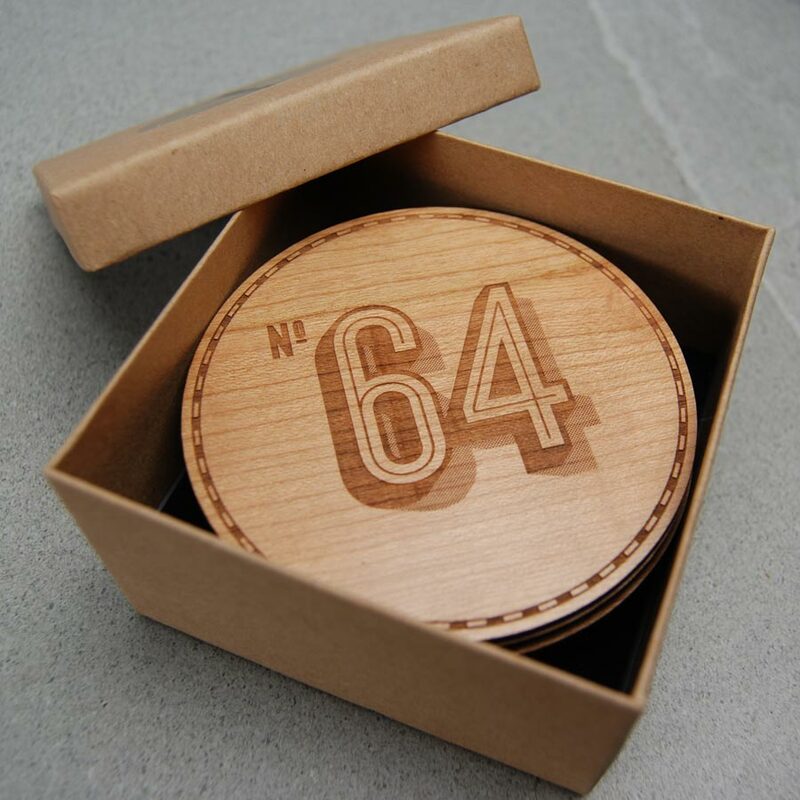 The coaster set will arrive beautifully packaged in a branded gift box.